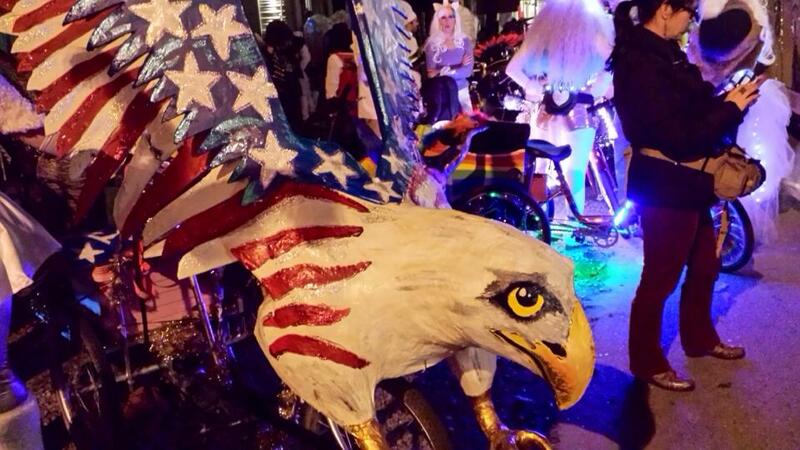 Artist Shannon Atwater rides Eagle art bike in the Krewe of Muses parade. Photo by Paul Broussard. 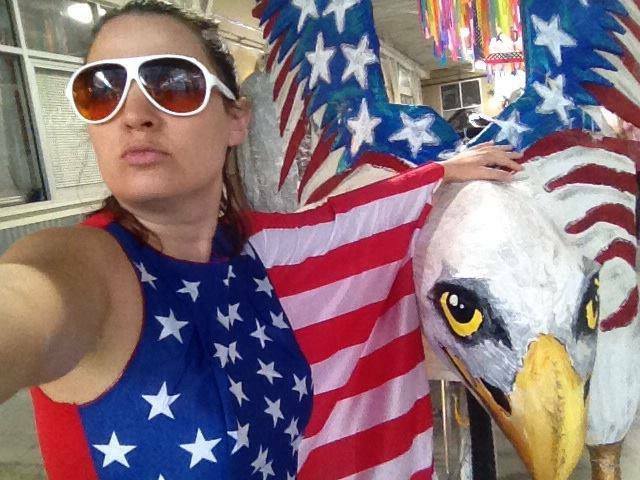 Artist Katrina Brees poses with Eagle tricycle before the annual Krewe of Kolossos July 4th Bayou Boat Parade. 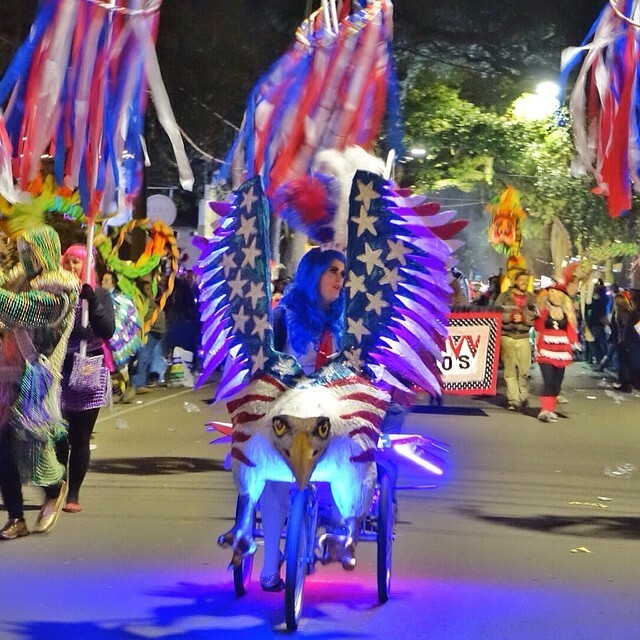 America the Eagle waits for her chance to please the crowds in the Krewe of Muses Parade. Photo by Amy Scott. 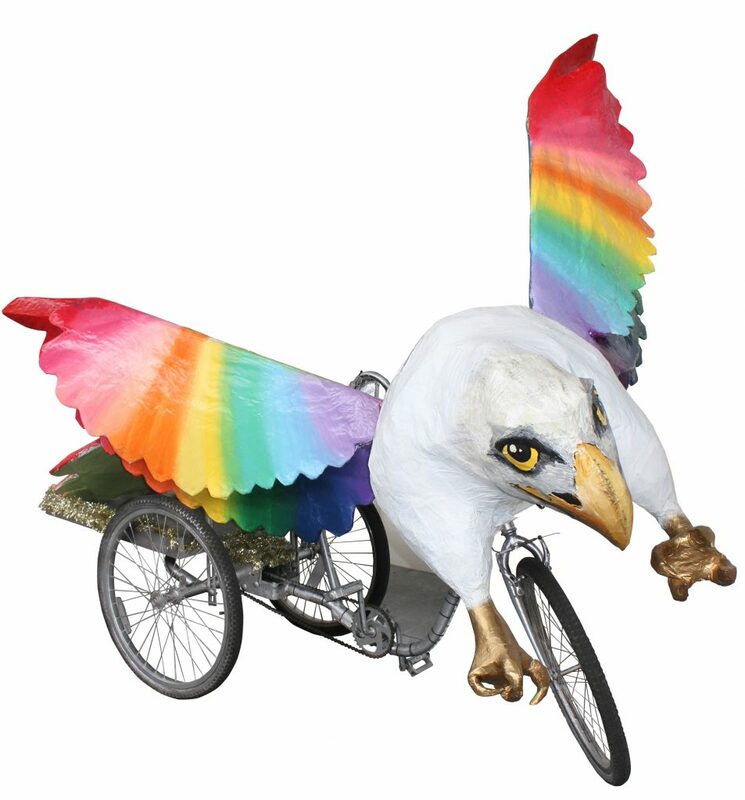 Art Bike Biography: America, our eagle tricycle was inspired by the Krewe of Kolossos’ annual July 4th parade. A celebration of the birth of America and the principles of Kolossos. Each year, the Krewe of Kolossos celebrates its coronation of their new king and queen along the banks of Bayou St John. The event welcomes all to paddle around the majestic Bayou St. John with decorated boats and patriotic costumes. Several local artists assisted in elevating this sculpture to new creative levels including painter/sculptor and Green Eyed Gator Gallery owner, Shannon Atwater with impressive lighting effects by local film maker Allison Hilder. America was constructed using repurposed building supplies including foam and papier mache.